Gruttadauria's Bakery offers many current to traditional styles to choose from for your special wedding day! Let us help make your wedding day special! We have been perfecting wedding cake for over 100 years! Come in and look through our portfolio of designs or bring in one of your own. If you wish to try bite-size cake samples and get a quote for your dessert table, call and make an appointment today! View a sampling of our cakes here, or call and make a tasting appointment with our wedding specialist. All of our tiered cakes are round, frosted in our unique buttercream frosting and consists of 2 layers with a filling in between. 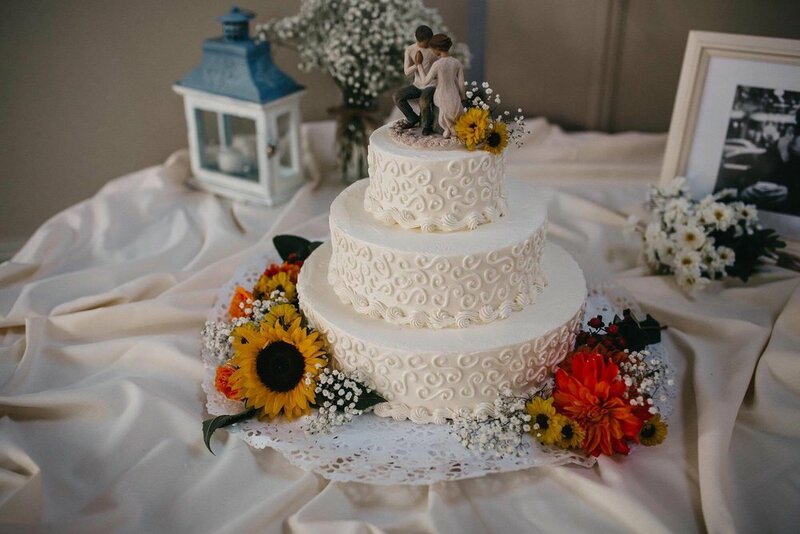 Whether you prefer to have each tier the same flavor, or each tier a different cake flavor, our wedding specialist will customize your cake to make your day special!